Hetregó Jago black down parka mixes the construction of parka with technical fabrics: the result is a style that looks to the future and provides high-performance to face the cold. 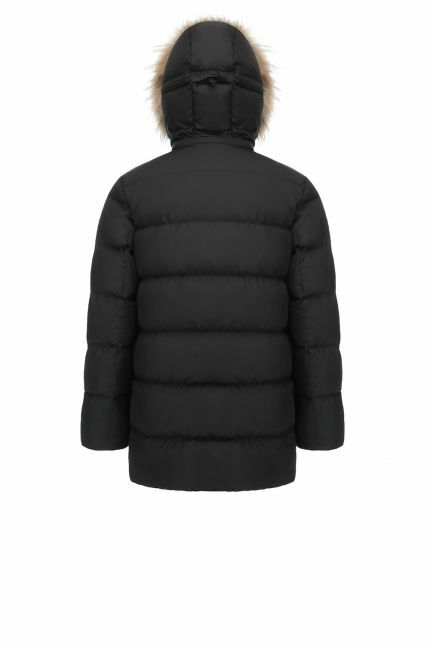 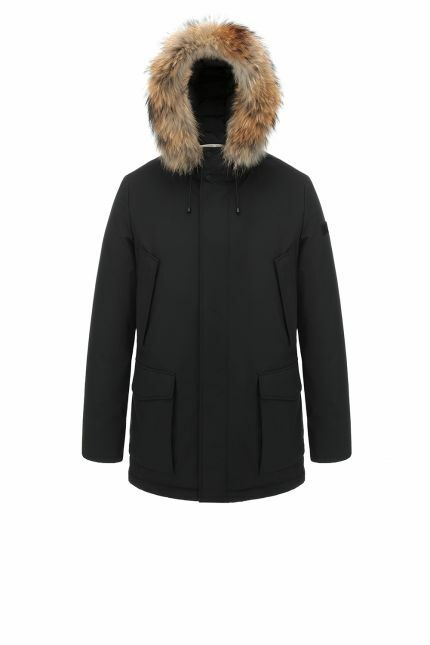 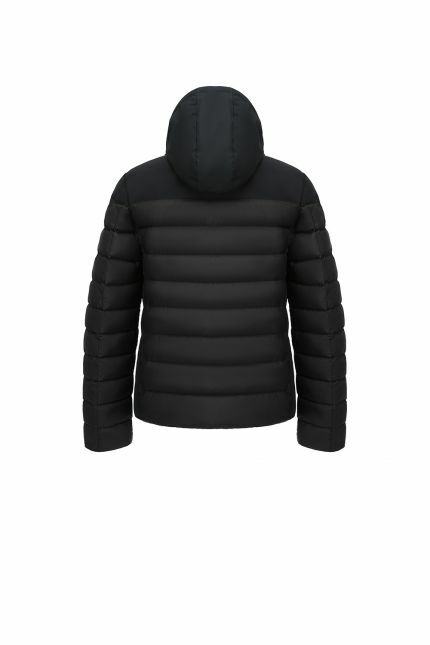 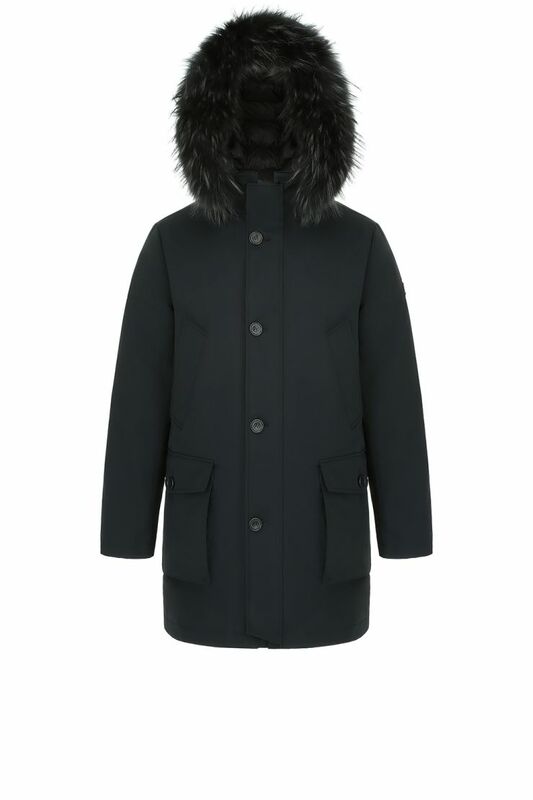 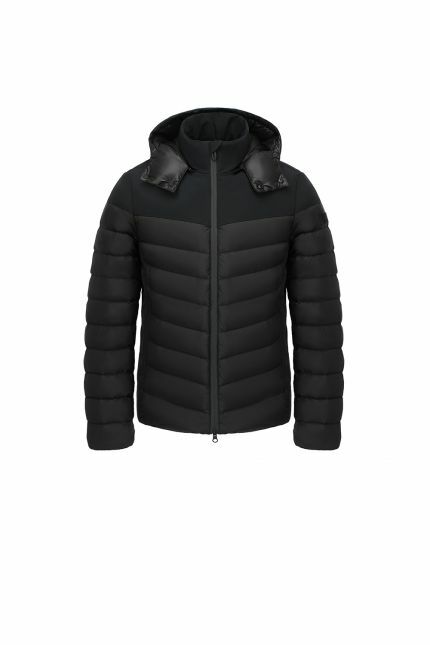 This style is padded in goose down and has a removable racoon trim hood. 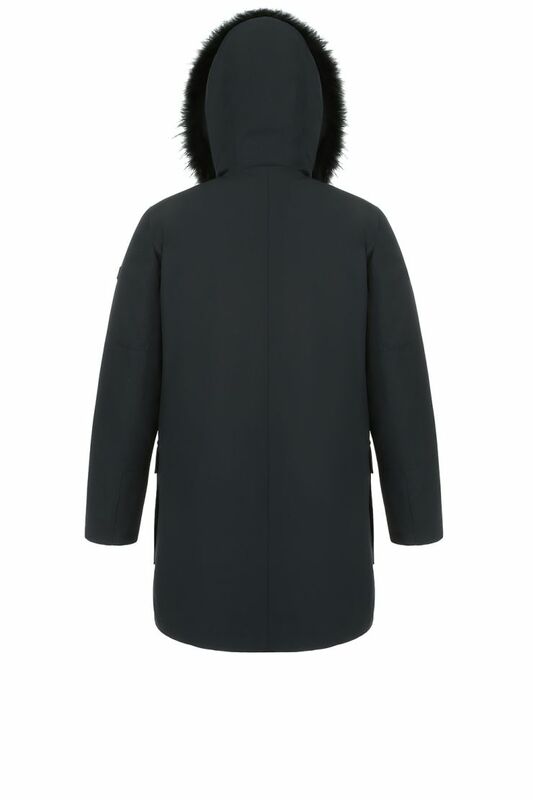 This parka is ideal for winter and protects you from rain and wind. It features a two-way zip fastening, elastic drawcord hood and four pockets (two welt chest pockets and two flap patch front pockets). 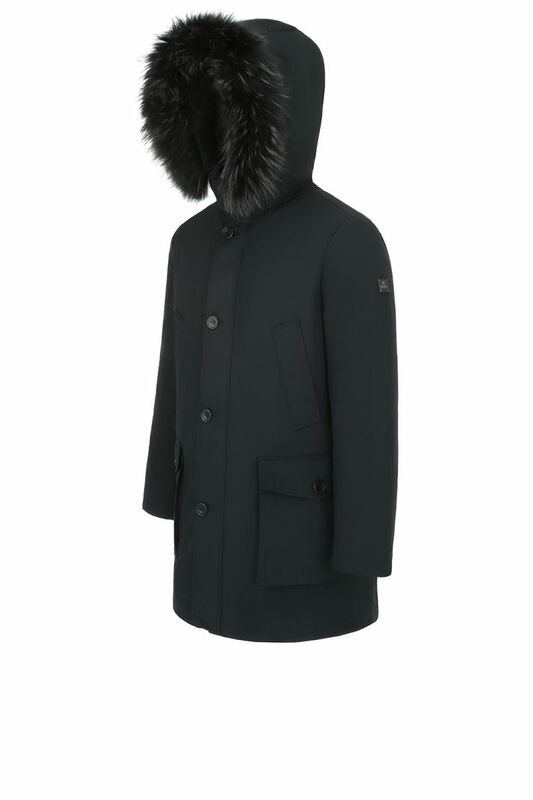 Jago is a timeless coat that combine a classic style with innovative materials.